With Apple’s big press event set for September 10th, the company has yet to send out a single invitation. 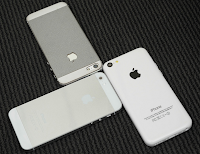 It is widely believed that the next iPhone event will bring the iPhone 5S and iPhone 5C. If Apple holds to previous patterns, these devices would launch on September 20th. Greek media claims the same, and this is not surprising at all, as usually blogs break stories, newspapers report them, and bloggers cite the reports – that’s how today’s media works. In this circle, it’s getting hard to tell what's new, what independent corroboration is, and what's just more noise to drown out what little signal is left, when stories go viral and cross nations and languages. However, there is a chance that Nikkei did indeed get well sourced information that Apple's retail channel and partners in Japan are preparing for launch on September 20. So if true, it seems Apple's sticking with their traditional timelines!